The Baltimore Ravens will be looking to start their new season with a victory as they welcome the Buffalo Bills to M&T Bank Stadium on Sunday. 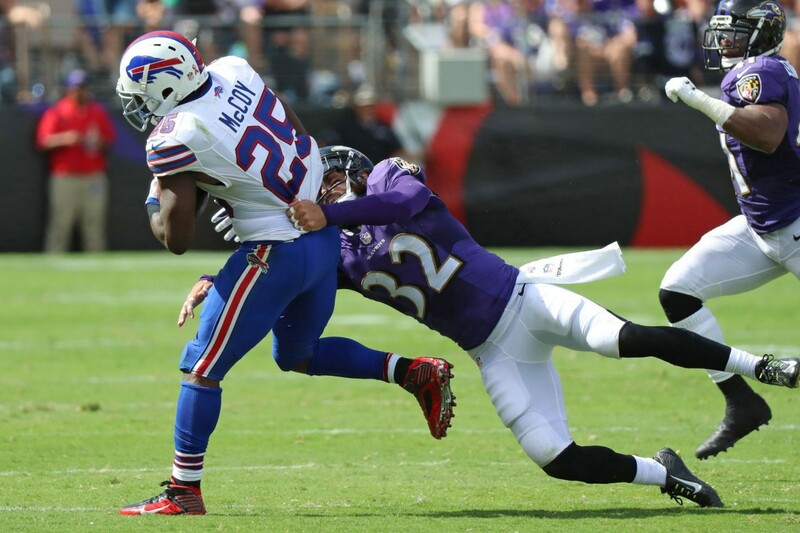 After going the duration of preseason undefeated, the Baltimore Ravens will be looking to carry on this form against the Bufallo Bills in Week 1. Baltimore's season-opener is at M&T Bank Stadium against a familiar opponent, the two teams faced last August and the Ravens came out victorious. After winning all five of their preseason matches, John Harbaugh has set his sights on coming out of the first week with a win. Buffalo, on the other hand, had a mixed bag of results, winning two and losing two and they will have Nathan Petermen starting at quarterback at the weekend. Everything looked set, going into the final week of the regular season in 2017, for the Ravens to go through to the playoffs. Baltimore knew that a win, against an out-of-form Cincinnati Bengals side, would see them through, however, things didn't turn out how they expected. With under a minute remaining on the clock, Harbaugh's side were ahead. However, Bengals quarterback, Andy Dalton, had other ideas. His deep pass to Tyler Boyd was caught for a 49-yard touchdown reception and the win for Cincinnati meant Buffalo took Baltimore's wildcard spot. With new additions to their ranks, the Ravens will be looking to make an impact from the get-go. Joe Flacco and Alex Collins headline the offence, while Terrell Suggs and C.J. Mosley, once again, spearhead the defence. Their offence is stacked with talent out wide too, Michael Crabtree, John Brown, Willie Snead IV and Chris Moore make up a formidable wide-reciever unit. Buffalo will start Peterman at quarterback in Sunday's game, the Jacksonville-native has been impressive during preseason. Head coach Sean McDermott has opted with Peterman instead of Josh Allen, which appears to be the right call based on how both have performed during preseason. Despite throwing three touchdown's in the four preseason matches, Peterman has yet to complete a full game in the National Football League. Against the Los Angeles Chargers last season, he threw five interceptions during the first-half and he goes up against one of the best defences in the league, in Week 1. For the Ravens, defensive tackle Willie Henry and tight-end Hayden Hurst didn't participate in practice on Wednesday and Thursday. Cornerback Maurice Canady was limited through those two days, while linebacker Kenny Young participated fully on Thursday. As for the Bills, linebacker Lorenzo Alexander and wide-reciever Ray-Ray McCloud III didn't pracitce on Wednesday or Thursday and linebacker Julian Stanford was limited on Thursday. Unlike the previous few seasons, Ravens quarterback Flacco has competition from rookie Lamar Jackson and former Washington Redskins quarterback, Robert Griffin III. In the past, we've seen Flacco thrive under these situations and the experts are fully expecting him to do so on Sunday against this Bills team. Baltimore have a stronger wide-reciever group, a better quarterback in Flacco and a dominant defence, who look hungrier than ever and are ready for the start of the new season.